The Fury of Firestorm: The Nuclear Men #0 was released yesterday; the final issue for the creative team of writer Joe Harris, penciller Yildiray Cinar, and inker Marlo Alquiza. I’m very sad to see these guys go. New writer/penciller Dan Jurgens debuts on Firestorm next month and will undoubtedly produce excellent comics, but I’ll still miss Joe, Yildiray, and Marlo. I really enjoyed their issues of The Fury of Firestorm! Yildiray has been with the book since the first issue, penciling 11 of the 13 issues; Joe has written seven of the issues, initially co-plotting with Ethan Van Sciver; and Marlo has been brilliantly inking the book for five issues. Each of these creators have brought their own unique style and voice, enriching the Firestorm cast of characters and mythology. I’m focusing on these three creators today because they’ve just finished their tenure on the book. However, I should take a moment to recognize some of the other talented folks that have contributed to this great run of Firestorm: Ethan Van Sciver, Gail Simone, Norm Rapmund, Travis Lanham, Steve Buccellato, Hi-Fi Color, Daniel HDR, Walden Wong, Rachel Gluckstern, and Rickey Purdin. THANK YOU from us Match-heads to all the creators involved in making the last 13 issues of The Fury of Firestorm: The Nuclear Men! Good luck in all your future endeavors! 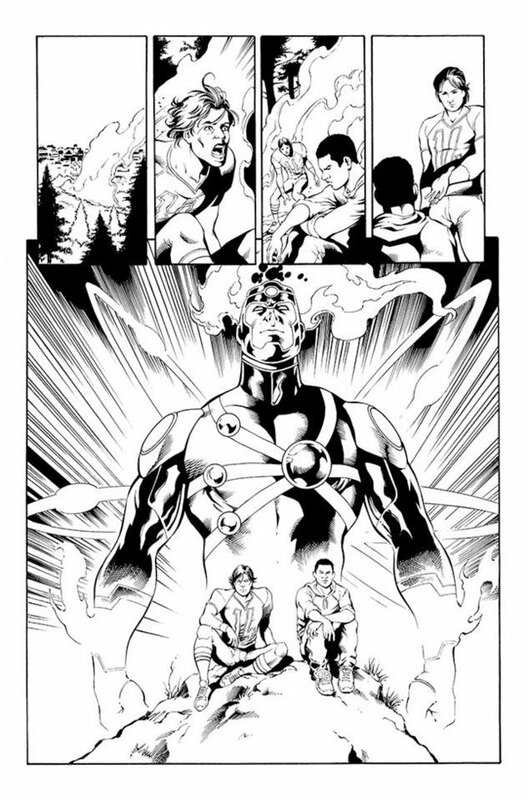 Support Firestorm (and Joe Harris, Yildiray Cinar, and Marlo Alquiza)! Fan the flame! Posted in: Comic books, Firestorm #09: New 52 v1 (Firestorm Protocols), Firestorm #10: New 52 v2 (Ronnie/Jason), Firestorm comic vol. IV, Joe Harris, Yildiray Cinar. Sad to see them go!…Super excited for Jurgens run. I never felt like Booster Gold mattered until his run. It’s sad to see them go. Especially because we didn’t really get to explore the whole worldwide firestorm protocols at all. I wish we had another year for that story to be completed before going to Jurgens’ (probably awesome) run.